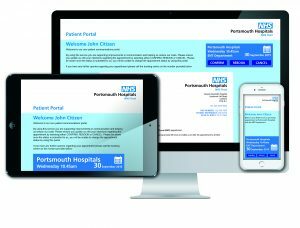 Every patient who attends Portsmouth Hospital NHS Trust will have the opportunity to receive their appointment letter digitally rather than by post, from May 2018. 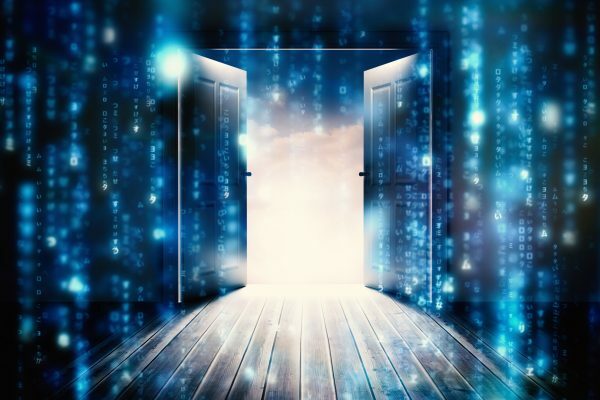 The new portal is already a big hit in outpatients, with 50% of eligible patients now choosing to receive their appointment details digitally. If the digital letter is not accessed within 24 hours or no mobile number is held with the hospital, then a postal letter is automatically sent and the digital letter is deleted. 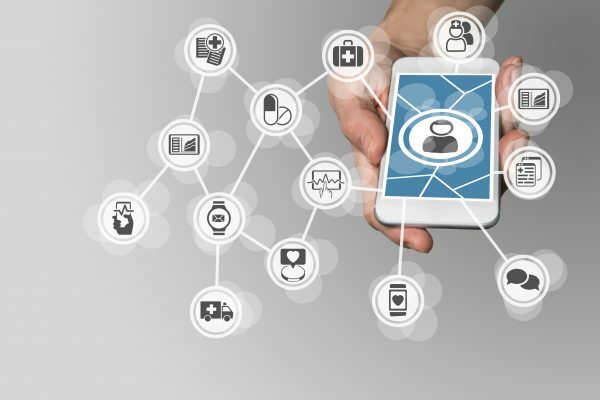 The platform enables patients to view appointment letters, pre-assessment details and supporting information on their smartphone, tablet or desktop. In 1 click, patients can immediately confirm, cancel or rebook their appointment, as well as add the date to their digital calendar as a further reminder prompt, and access real-time travel maps. A carer praised the accessibility of the digital letter, highlighting the option to translate letter content into 99 different languages with 1 click. This feature enabled his mother, for the first time, to read her own appointment letter. Patients also like the QR code in the letter enabling automatic self-check in at kiosks without the need to enter their details manually, creating a smoother arrival process. The new patient portal is already delivering the Trust significant financial savings through the reduction of postage, paper and associated admin costs as well as the efficiencies generated with automation. Staff time is no longer wasted on postage admin and processes are much more streamlined. Translation audio and text conversion options within the letter not only reduce accessibility barriers but also cut Trust costs of converting brochures into multi-language options. Starting this month, Portsmouth will also include a link within the digital letter to the Trust newsletter online, rather than posting it out to patients – saving £100,000’s more in postal costs! 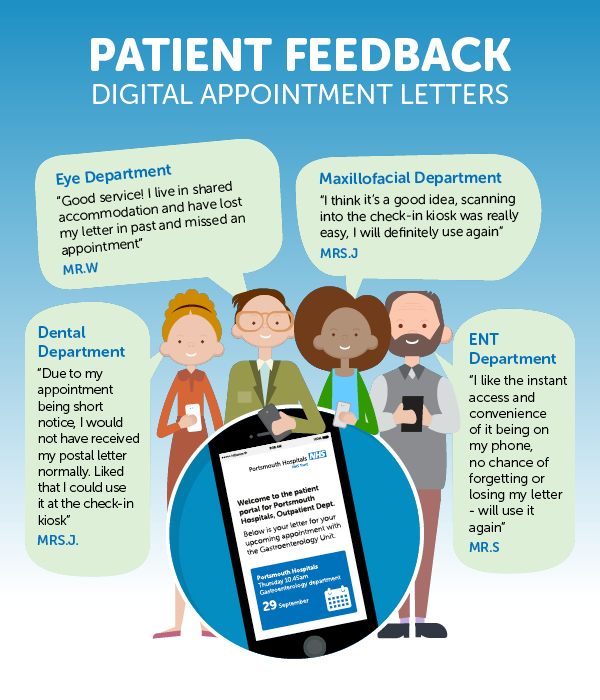 Portsmouth now has real time analytics on patients who open digital letters, who clicks on the newsletter link and which attachments are accessed; are ‘essential reading’ pamphlets actually read? This is powerful intel, the Trust can rework communications to increase exposure of important messages and reduce patient treatment delays as a result. E.g. fasting before a test is ‘essential’ to the appointment, but instead of essential reading, ‘Your appointment will be cancelled if you don’t do this’ may increase open read rates. The intelligence also recognises who to send a digital letter to and automatically follows up with a postal letter if it is not accessed within 24 hours – no staff involvement required! 10 Trusts in England are now contracted to provide digital letters to patients; King’s College Hospital Trust is the next to roll out the platform in April 2018. 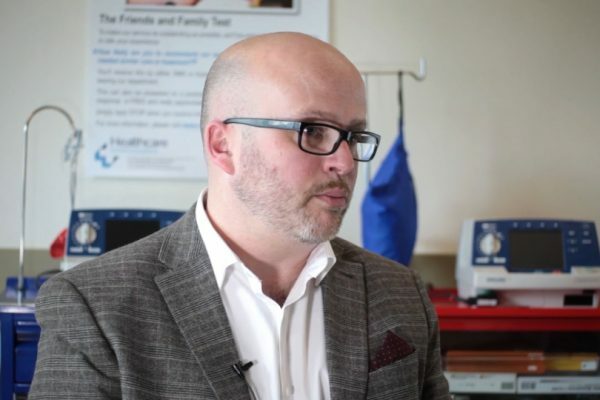 Berkshire Healthcare NHS Trust has also chosen digital letters to form part of their Global Digital Exemplar program to deliver exceptional care, efficiently, through the use of world-class digital technology. To experience it how a patient would, email: twebb@healthcomm.uk for a demo sent straight to your smartphone. Our product team can visit your team onsite too!